The Fall season is in full-swing… and maybe your old PA system isn’t performing as well as you’d like? 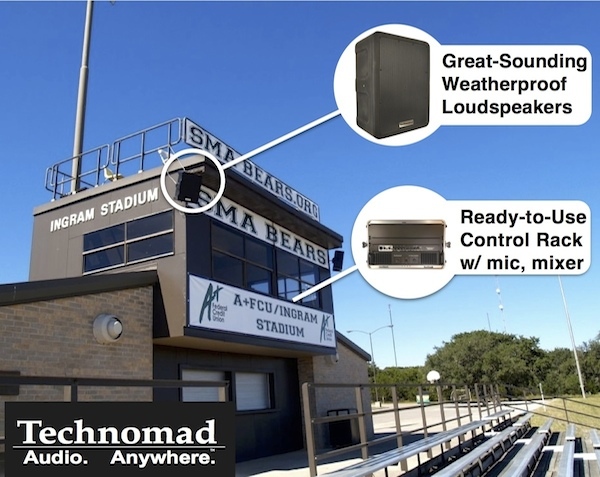 Get the sound your team deserves with a Technomad turn-key audio system. Our US-made packages provide everything you need. 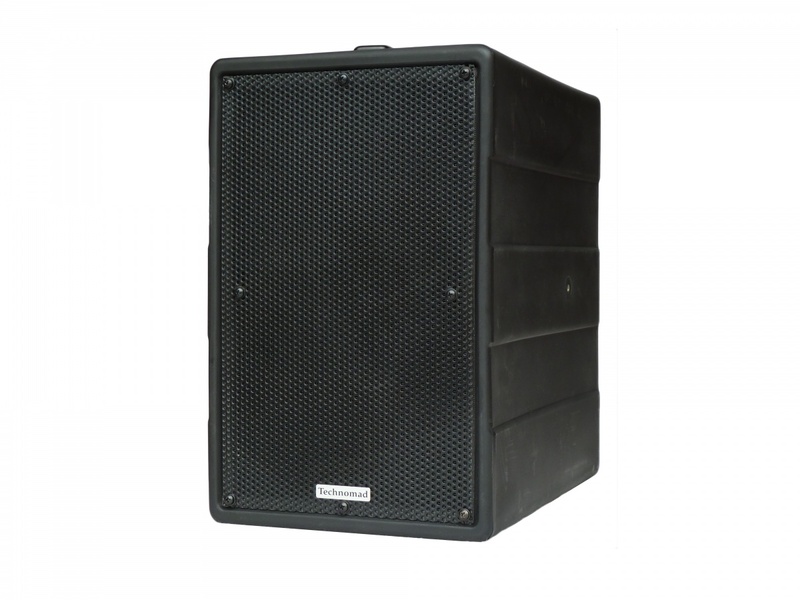 Systems come with microphone, 6 channel mixer, amplifier, cables, mounting brackets, and a pair of great sounding and completely weatherproof Technomad loudspeakers. All you have to do is plug it in and attach the speaker cables. No audio expertise is needed to install and use. The ultimate install PA system. 2000+ listeners. Our most popular package. 1000+ listeners. An excellent basic system. 200+ listeners. Need super light & portable? 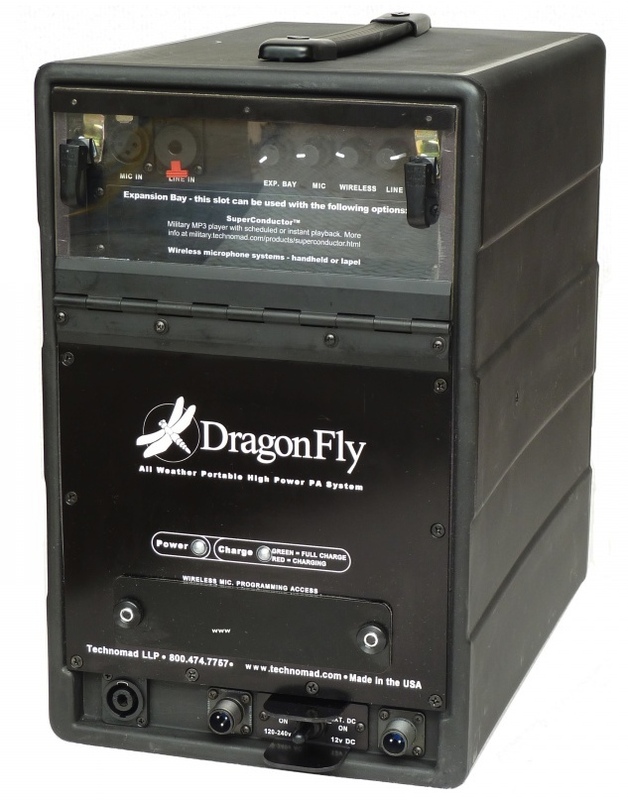 DragonFly is light, loud, weatherproof. AC/DC power and 4+ hour battery. We look forward to supporting your outdoor audio projects this Fall. Contact us with any questions – we’re here to help. You received this email because you’re a current customer or previously opted-in to receive information from Technomad. and enter your email for permanent removal. Thanks!